The demon imprisoned the devotee and several others in his capital called Daarukaavana. It is believed that Lord Shiva appeared in the form of Jyotirlinga and rescued the imprisoned and vanquished the demon. The Shivalingam in the temple faces South with the Gomugam facing East. There is a legend regarding the position of the idol. It is believed that a devotee called Naamdev was singing bhajans in praise of Lord Shiva and was asked by other devotees to stand aside and not to hide the image of Lord. On being asked to do so Naamdev argued and asked for one such direction where Lord is not present, this angered the devotees and they picked him up and placed him on the south side. To everyones astonishment even the Linga was then facing South with the Gomugam facing east. The other two temples dedicated to Nageshwar Jyotirlinga are situated near Audhgram near Purna and another near Almora in Uttar Pradesh. There are many more Jyotirlinga in India, named as Nageshwar Jyotirlinga. There have been many beliefs related to this fact. 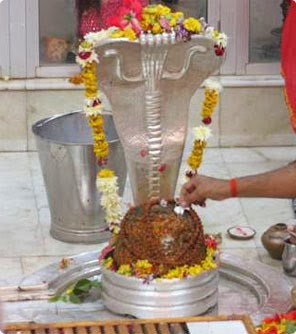 Jyotirlinga in Hyderabad and Andhra Pradesh is also famously known as Nageshwar Jyotirlinga. In Almoda, Jageshwar Shivalinga, is also popularly called Nageshwar Jyotirlings by the devotees. 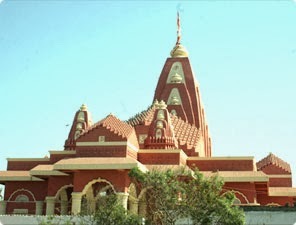 But in Shivapuran,the Jyotirlinga established in Dwarka is the only one considered as Nageshwar Jyotirlinga.According to many religious scriptures, Nagesh Dwarkavne is one of the 10 Jyotirlinga. This place today is well known as Jageshwar. his family completed the work after his assassination. The entire project cost Rs.1.25 crores. Gulshan Kumar Charitable Trust bore the entire expense of the project. Nageshwar Temple is visible from a distance of 2 km. A huge, attractive statue of Lord Shiva in meditation pose greets devotees outside the temple. It's a 125 feet high and 25 feet broad statue. Main entrance is simple but beautiful. First is a hall or sabha mandap, where the Puja material counters are located. The Jyotirlinga is in a basement type sanctum. Main Jyotirlinga is situated below the sabhamandap floor. The Jyotirlinga is moderately big and shalunka is plated with silver. A silver replica of Nag (snake) is also placed. Behind the Jyotirlinga there is an idol of Goddess Parvati. At Nageshwar Jyotirlinga, only male devotees can enter and perform puja in Garbhagriha. They have to wear a dhoti. No one knows the reason for this male only practice. > There is a popular legend, related to Nageshwar Jyotirlinga. According to the legend, there was a businessman with an immeasurable faith in god and karma . He was highly devoted to Lord Shiva.Despite being busy in his business and work, whatever spare time he used to get, he exhausted it in praying, adoring, and serving Lord Shiva. Seeing his devotion in Lord Shiva, a monster names Darukk got angry .Being a monster in nature, he was never in favour of Lord Shiva and infact hated him. > That demon, always looked for an opportunity, to disrupt merchant’s devotion . One day that merchant was going in a boat for some business purpose. The monster saw this, and with the found opportunity he attacked the merchant’s boat and took all the travellers to the capital and imprisoned them. > Even in the prison, the merchant use to pray Lord Shiva constantly. When the demon, got to know about about it, he got aggressive and visited the merchant in prison,in the spirit of anger.The merchant was meditating at that time .The monster, started to resent at the merchant in that state only. When the demon saw, that his resentment is not affecting the merchant at all, he instructed his slaves to kill the merchant. Even this instruction could not act as a barrier to his meditation. > The merchant kept on praying for his and his fellow people’s liberation. Lord Shiva was pleased with this devotion, and appeared in the prison in th form of Jyotirlinga and gave Pashupata, a weapon to the merchant, to protect himself.. He killed Rakshas Darukk, and his disciples from the weapon given by Lord Shiva. Since then this Jyoitirlinga is established there, and was named Nageshwar. morning hours, different pujas/abhisheks are performed by the Pujaris and devotees..The devotees have a Sringar darshan at 4 pm and after that entry to Garbhagriha for devotees is closed. Depending upon the season, sayam arti is performed at 7 pm. The temple closes at 9 pm. However during special occasions like Holy Shravan month, Navaratri and Diwali festival, Kartik Purnima and Mahashivaratri, the temple remains open for long time. 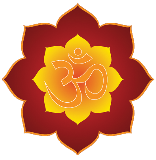 Rudrabhishek with Bhog-Rs.205,Char Somvar (four Mondays) ek amavas Rudrabhishek- Rs.505, Char Somvar ek amvas Rudrabhishek with dudh(milk)-Rs.751, Char Somvar ek amvas Rudrabhishek with Bhog-Rs.1001, Rudrabhishek for one year somvar-Rs.1101, Rudrabhishek with milk for one year somvar-Rs.2101,Ek Somvar 1008 Bilva patra Abhishek-Rs.251,Ek Somvar 1008 Mahamrityunjaya Jaap-Rs.501,Laghurudra by 11 brahimns-Rs.2101,Ek Shravan mas Jalabhishek-Rs.551, Ek Shravan mas dudh and bilva patra abhishek-Rs.1101,Ek Shravan mas akhand Jyota-Rs.1501.There are also two pujas for Mahashivaratri.These are-Mahashivaratri char prahar Puja-Rs.1101,Mahashivaratri Laghurudra by 11 brahmins-Rs.2101. The devotee who wants to perform puja has to first deposit the money at puja counter in temple. A purohit from temple leads the devotee to Garbhagriha and performs sankalpa which lasts for 5 to 10 minutes. If one is not able to come personally, but he wants to perform puja he can. He has to just send money to the temple office with his details like name and gotra. Puja is performed and devotee gets Prasad by post. He can send money by money order, draft or cheque A devotee can also buy puja material and dhoti from the counter in the temple hall. One thali with material like silver plated Nag is available for Rs.251. He can get dhoti for use and it is to be returned.